Broomfield Real Estate & Property Management, Broomfield Real Estate & Property Management, Broomfield, CO Real Estate & Property Management Companies. 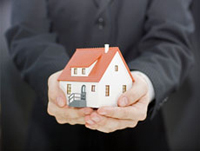 We offer a full range of real estate services tailored to you as an investor or homeowner. We have an extensive portfolio of single family homes, townhouses and condos in the Denver Metro, Boulder, and Front Range (Louisville, Lafayette, Erie, Broomfield, Niwot, Northglenn, Longmont, Superior, Frederick, Firestone, Brighton, Dacono, Westminster, and Thornton). You are working with REALTORS®, real estate agents who are members of the National Association of REALTORS®. We're committed to maintaining the professionalism of the real estate business and are proud to uphold the standards of the National Association of REALTORS® and its Code of Ethics and Standards of Practice. We are Professional. Buying and selling real estate is first and foremost a business decision- not an emotional decision- where we advocate and negotiate hard for our clients to insure their best interests and goals are exceeded throughout the transaction process to closing. We are Certified. Our dedication to our profession is evident with our professional certifications. We are committed and dedicated professionals who are not content in only taking courses needed to earn and maintain a real estate license, but are determined to continually improve our professional skills and education. By devoting more time and increased effort attending advanced educational courses and passing examinations to earn these designations, we are in a much stronger position to better serve our clients. We are Your Partner. A large portion of the work we do is project management, where we guide our clients through the purchasing and selling process. We refer our clients to a robust network of partners who are highly reliable professionals that are recognized as being among the best in their profession. We will make every effort to make sure our clients receive the smoothest transaction possible; before, during, and after you buy or sell your home. Experts in Our Area. We have access to several outstanding analytical tools that provide comprehensive information on a property, neighborhood, town, or city. We also generate Comparative Market Analyses reports which detail specific address level data point information for our clients. These CMA's enable us to provide the most up to date counsel on local market conditions for our clients, thereby enabling them to make the best possible business decisions for themselves and families regarding purchasing and selling real estate. Give us a call to provide you with a Comparative Market Analyses (CMA) report that provides up to date market valuations of your property in comparison to what's occurring now in the market and most importantly, in your neighborhood. A CMA will review your properties historical valuation against homes in your zip code, providing years of graphical representation of real estate market trends showing when appreciation and depreciation have occurred and at what level for your property and your town. It will also note side by side recent competitive analysis of recently sold property and current property that is on the market, providing a strong valuation perspective in real time with up to date and local market data. We'll provide you an Estimated Seller's Net Sheet that details where your costs are regarding selling, and what your potential return on the transaction will be at the closing table based upon several proposed sales figures. This is a powerful document that assists in detailing the financial perspective of what selling your property will bring to your bottom line, as well as showing a model for various pricing proposals and how that bottom line would be affected. Thinking about selling your property? This document, coupled with a CMA, will provide you with all the information you require to see if selling your property makes sense for you now, and if so, what your expected financial result may be when sold. We'll consult with you on all landscaping, exterior & interior property "Curb Appeal" projects. Our extensive relationships with high quality vendors will be happy to assist you in consulting and quoting proposed work to insure the highest possible return on the sale of your property. There’s a lot of preparation work that’s involved in selling your home, far more than agreeing to a List Price and placing a For Sale sign in your front yard. To maximize your Return on Investment and insure your highest possible Market Price (what a Buyer will actually pay for your property, the List Price is what the Seller is asking for the property and the figure for what the property is marketed at) a Seller will want to insure their property and improvements (home or outbuildings) are presented to interested Buyers in their best possible condition. Marketing expertise coupled with the latest tactics and deliverables will insure your property is represented at the peak of its peers and in front of its competitors. Professionally shot interior and exterior photos coupled with virtual tour video, YouTube, a dedicated property website, property data sheets, extensive use of social media and third party websites (Trulia, ColoProperty.com, Realtor.com, YouTube...) and a mobile site accessed by your own private QR code. Your property will have exposure in both of the Multiple Listing Systems (MLS) used in Denver, Boulder, and the Front Range. Every real estate agent who's looking to purchase a home in and around this geography will have full access to your listing to introduce and tour with their buyers. To assist with scheduling showings and to insure accurate showings of your property, we partner with a professional scheduling agency. Partnering with this service insures that only legitimate, licensed real estate agents accompany their clients on a walkthrough tour of your property during a very specific time frame only after being authorized by you. This service provides additional layers of protection and safety for our seller partners, and degrades the ability of insincere buyers or others to just "look around" your property on a whim. The Boulder, Denver, and Front Range real estate markets are organic and ever changing; month to month, season to season, year over year. Agreeing to a list price isn't the end of the conversation; constant attention to detail on how the market is behaving, recognizing new competitive properties introduced to the neighborhood and city, what properties that have sold, have gone under contract, or have been withdrawn to the market all have an effect on your competitive position in the market. It's our job to insure we're marketed to the limit of what the market will bear for your property, ensuring your strategic goals for real estate are exceeded, and maximizing your return on investment for your property is fulfilled. Monitoring and communicating market conditions is paramount for securing the best possible results for our buyer and seller partners. On the buyers side we have experience in new home and existing home sales, as well as experience helping the investor. We believe the buying process should be about finding the right home. We offer full service sales assistance and can advise on sales price, staging your home and educating you on what can be expected in regards to offers in today's sales market. Q: When buying a new home, what upgrades should we consider? What holds the most value? Do we upgrade the lot? Do we increase the square footage? Add an extra bedroom?, etc. A lot depends on why you are buying the house. Are you buying it mostly as a home or mostly as an investment? There is a difference. For the most part, upgrades are high-profit items for builders. They aren't designed to enhance the value of the house, but make you happier with the house you do buy. If you are looking at your home as an investment, then you buy from the smaller to medium size in the tract and spend only a minimal amount on upgrades. If you are looking at your purchase as a home, then you select upgrades that will enhance your quality of living. Broomfield began as an agrarian community in the latter quarter of the Nineteenth Century, Dryland farms dotted the landscape in the late 1800s, and received its name from the broomcorn grown in the area. In the 1950's Broomfield began a growth boom when developers decided to build the state's first dream community. The city's forefathers consciously planned the city's growth master-planned community, and that tradition has continued to present day. As of 1999 Broomfield is governed by a Master Plan that projects its population at build-out to be 65,000. The city grew through annexations, many of which crossed the county line into three adjacent counties: Adams, Jefferson and Weld. In the 1990s, city leaders began to push for the creation of a separate county to avoid the inefficiencies of dealing with four separate court districts, four different county seats, and four separate county sales tax bases; and in 1998 an amendment was passed in the Colorado State Constitution to create a new county. Beautiful, close-knit neighborhoods mark a true sense of community among the residents of Broomfield. Residents, city government, schools, and businesses work together constantly to keep Broomfield a place where people can live, work and play. The Interlocken Business Park, Ball Corporation (including Ball Aerospace & Technologies Corporation), Level 3 Communications, Oracle, Urban Lending Solutions, Hunter Douglas Window Fashions Division, Staples, Sandoz, TransFirst Holdings, The WhiteWave Foods Company, and Vail Resorts are all significant employers located in Broomfield. For fun and recreation be sure to spend time at the Butterfly Pavilion, 1st Bank Center, 3 golf courses, and the Broomfield Bay Aquatic Park; don't forget about the shops, restaurants, and outside music in the warm months at Flatirons Mall also. Broomfield High School is truly a community high school. The support given to the school by parents and community members is exceptional. Broomfield High School students' academic successes are not only the school's priority, but also the priority of many adults in the community. As a comprehensive high school, Broomfield offers a balanced program of study to meet the various academic needs and interests of its students. Broomfield High School's course offerings include honors and Advanced Placement courses in many disciplines, fine arts courses and vocationally- focused courses. At Broomfield Heights, a proud neighborhood middle school, we embrace and support our richly diverse community by providing a welcoming and high-level learning environment for all of our students. At BHMS, we are part of the greater community of Broomfield and we continue to build on our tradition of excellence. We support middle school priorities of providing the highest quality instruction and learning, grounded in academic teams where teachers work together to support and nurture their common students. We build community through school wide positive behavior support systems. We empower our children through specific actions to enhance student leadership. Our students engage in a wide range of exploratory choices and extracurricular activities. We integrate technology and 21st century skills in our program as we prepare students to grow into a dynamic future. At Aspen Creek K-8, we challenge, educate and empower our students by inspiring individual success. We will build a strong academic foundation in a safe learning environment, while encouraging ethical and social responsibility. Our child-centered partnership with families and community creates positive memories, nurtures dreams, and promotes life-long learning. All aspects of The Academy are designed with the recognition that students and their families are our customers. In a real sense, the staff of The Academy serves at the pleasure of our community members. With that reality in mind, the administrative structure of the school was established to provide the best customer service and responsiveness as possible. The Board of Directors (Board) are the governors of The Academy. The Board's primary role is to develop and see implemented a vision, throughout the school, consistent with The Academy's Mission. ColoradoEd is a family of tuition-free, online public charter schools focused on helping students reach their full potential. We are dedicated to the proposition that all students are created equal and that every student should have the opportunity for a bright future. We know no two students are alike, and each student comes with his or her own abilities, talents, and learning styles, so why should education look the same for all students? We provide educational options and opportunities for students to achieve their full potential based on who the student is - rather than whom we think they should be. Through an environment that is supportive, encouraging, innovative, and adaptive, we focus on student success and provide hope and innovative educational change for student success - one student at a time. WCS offers an innovative educational environment designed to meet the needs of a more inclusive population of gifted learners including those with different learning styles. We specialize in gifted learners whose needs diverge from those practiced in more traditional schools settings. Our instruction is organized to support those diverse learning styles by using methods that match the students' varying academic needs and strengths. We believe the social and emotional needs of gifted students are as important as their intellectual needs. While making our high expectations clear to all students, we also offer a loving learning environment where it is safe to take risks among peers. Our goal is to make our students feel successful, understood, and appreciated for who they are. Centennial Elementary, in partnership with our families and community, will establish an environment dedicated to academic excellence for 21st century learners to reach their full potential. It is the mission of Centennial Elementary to provide quality educational opportunities for all students. At the elementary level, MESA's focus is on helping students see mathematics and science as interesting and engaging subjects in which they can be competent. Students learn to work together in groups with hands-on activities that are designed to help them build math and science as well as literacy skills. Arapahoe Ridge joyfully engages all learners to be critical thinkers who are empowered to reach their highest potential. In 2012 Arapahoe Ridge Elementary earned The Governor's Distinguished Improvement Award for Superior Academic Performance. This award goes to schools that "exceed" expectations on the 3-year school performance framework's indicator related to academic growth and "meet or exceed" expectations on the indicator related to academic growth gaps. Arapahoe Ridge was recognized as one of five District 12 schools to demonstrate the highest levels of growth for not just some students but all student groups. Meridian opened its doors in 2004 with a focus on excellence. Working with the community, the name Meridian was selected with an emphasis on the meaning "Pertaining to the highest point." Since that time, the staff, students, parents, and community have continued to work together to make this vision come true. We have received multiple recognitions over the years for our outstanding growth and high achievement results - and the Meridian community remains focused and committed to providing our students with learning opportunities that they will take with them into middle school, high school, college, and life. We educate students from Preschool through the 12th grade. Our small class sizes allow one-on-one interaction between students and teachers. We incorporate a Christ centered philosophy of teaching and are committed to integrating a Christian world view in all academics and extracurricular activities. We are devoted to creating a safe, loving, spiritual and academically challenging environment for each student entrusted to us by their families. We are a member of the Association of Christian Schools International (ACSI), the largest evangelical Christian school organization in the world serving almost 6000 schools and more than a million students. We have an excellent athletic program and are a member of the Colorado High School Activities Association (CHSAA). Holy Family High School is a Catholic, college preparatory, Archdiocesan, coeducational high school operating grades 9 through 12. Our Mission Statement accurately reflects life within our community. Based on the teachings of Jesus Christ, Holy Family High School seeks to provide a Catholic learning environment that stresses academic excellence, fosters mutual respect, demands responsibility, and encourages self-growth. We are a Christian, accredited high school located in Denver, Colorado. We are supported by eighteen Lutheran churches along the Rocky Mountains. Our parent church body is the Wisconsin Evangelical Lutheran Synod (WELS), which operates one seminary, two colleges, two prep schools, twenty-five high schools, over three hundred elementary schools, and about four hundred preschools, the 4th largest private educational system in the United States. CCA is an inter-denominational, evangelical Christian school. As an independent K-12 school, Cornerstone is not solely connected to any particular church; rather we seek to be a resource to the whole Christian community of North Denver. CCA began operations in the fall of 1996 as an outreach ministry of Faith Bible Chapel North. The school was then known as Rocky Mountain Christian School, located at 120th and Sheridan in Broomfield, and currently we're located in Westminster, Colorado; occupying the building previously known as The Arabian Horse Center. We are thrilled at God's provision with this beautiful building and view in a prominent location in our city. Christian Character matters at A Child's LIFE & LIFE Christian Academy, K-12. Our dedicated, loving and trained staff will nurture and encourage your children to grow in knowledge and in character according to the Word of God! Individualized or differentiated education is a big "buzz word" in our educational system today. In most school settings, individual student learning plans (ISLP's) are typically created only for students formally identified as gifted, in need of specialized services or to address a specific disability. At Broomfield Academy, teachers create individualized learning plans for each and every child. This is done to assure that there is a plan in place to develop every aspect of a child's learning needs. In our classrooms, there are generally several student groupings or levels of work for each subject, even in a class as small as 10 students. During a typical day, students may work on an independent project or on small-group lessons, while at other times they may be engaged in a whole-class discussion related to a particular lesson for that day (e.g. history, science). Our parish and school are located in Broomfield, Colorado, a suburb of Denver, and we serve students and their families from many surrounding communities such as Westminster, Thornton, Northglenn, Brighton, Superior, Louisville, and Lafayette. Nativity of Our Lord Catholic School has a reputation of fostering Catholic faith formation, promoting academic excellence, and is composed of a nurturing community that reinforces Catholic Christian family values for students in kindergarten through 8th grade. We have two classes at each grade level with a total of approximately 455 students. Nativity of Our Lord Catholic School has been investing in future generations for 50 years by providing our students with a rigorous, time-tested curriculum developed by the Office of Catholic Schools under the direction of the Archdiocese of Denver. Our students celebrate weekly Mass, recite daily prayers, and are prepared to receive the sacraments of Reconciliation and the Holy Eucharist. Our students participate in service to our school, parish, and surrounding community. Hope Montessori Academy is a private, not-for-profit, co-educational Montessori preschool and child care program. We serve infants, preschool and kindergarten students. Our Montessori programs and childcare programs are provided by Montessori Certified Teachers and our childcare programs are Colorado State Licensed. We have revolutionized childcare in Colorado by offering a Montessori based curriculum in addition to offering child care programs. Our schools are Montessori based child care and early childhood programs and are members of the American Montessori Society. Our teachers have completed their certification by completing Montessori Training Courses from Montessori Education Center of the Rockies, Montessori Centre International, as well as other Nationally Accredited Montessori Programs. Each day, KinderCare provides a balanced approach to learning, giving you the peace of mind that your child will have fun as they develop socially, emotionally, physically, and intellectually. We give your child the tools to become confident and self-aware. In a caring and stimulating atmosphere, our passionate and engaging teachers give your child endless opportunities to grow, learn, and imagine - whether building a spaceship to blast off to Mars or inviting a new friend to share a story during group time. While academics play a role in development, we believe there are many other opportunities for enhancing the whole child. If you’d like additional detailed information or explanations into Broomfield's demographic and mapping data that is shown below, be sure to click anywhere within the widget where you’ll then have the opportunity to individually click and review the Livability, Amenities, Cost of Living, Crime, Education, Employment, Housing, and Weather portions of the demographic data shown here. There’s a wealth of information to be learned from this portion of the website, and if you’re looking to live or invest in a new city, then this resource should definitely be reviewed as part of your decision making process. What's the vibe in your city? Copyright © Phoenix Realty & Property Management, Inc.